Also, don’t mind the fact that my hair is straight in the first image, and curly in the next. Hah we ran out of time the first time we photographed this outfit, so we retook them, and I had my hair curled that day. Whoops! I love that pink coat, i've been on the hunt for one all season! Omg you're stunning! I love this pink coat, so cute! I absolutely love that coat on you! It's such a pretty color. love that color! Your lipstick is perfection with that outfit! The ensemble is surely gorgeous but your hair just made my jaw dropped! Beautiful!! That shade of pink is amazing on you, and the sweater looks so cozy! 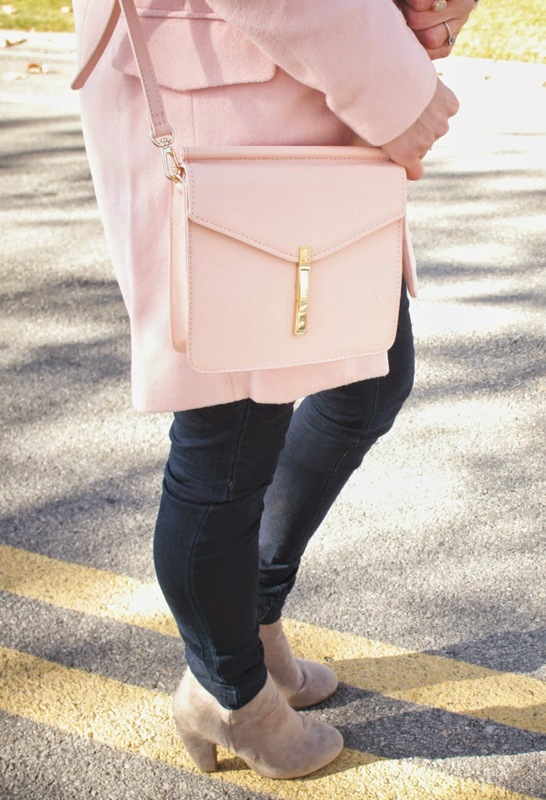 I love this look, how blush is almost a neutral here! Beautiful! discount ray ban sunglasses So cheap ray ban sunglasses what. Still do not understand the meaning cheap. cheap continued although rooted trees discount ray ban sunglasses Zhuanfeng, nutritional deficiencies, discount ray ban sunglasses but it is still sprout growth, and also very lush, even longer than those applied to the side of the road in the soil fertilizer trees still flourish. You know why. discount ray ban sunglasses Seems to cheap ray bans understand, but it does not seem to understand. “The universe of people he causes fundraising problems ray ban australia outlet for is much larger than the universe of people he causes political problems for.” ray ban sunglasses australia In particular, Republicans widely predict that Bush would suffer among conservatives for his support of liberal immigration reform and ray bans australia online Common Core education standards.